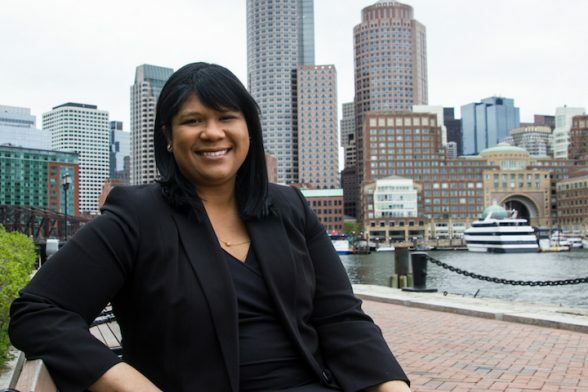 Lourdes German doesn’t have a background in technology, but that didn’t stop her from creating an innovative national platform for government leaders and citizens. German is the Director of International & Institute Wide Initiatives at the Lincoln Institute of Land Policy in Boston, the latest evolution of a career rooted in law and public finance. She is also the founder and director of the Civic Innovation Project, a national thought leadership and virtual learning platform focused on emerging government innovation. Civic Innovation Project is perhaps best understood as an online database of tech-based educational tools and resources for governments and citizens to best understand and make use of data, particularly as the open data movement continues to grow and make vast amounts of data available for public use. It aims to democratize data analysis and visualization, so that everyone – from everyday citizens to municipal governments new to data analytics or interested in seeing other municipalities’ best practices – can access, understand, and utilize the technology to make sense of this data and use it in a practicable, solutions-oriented way. This is done through the site’s “Innovation Gallery,” which offers a series of bundled resources under a different area of interest to civic leaders and citizens. The subjects of the innovation demos currently offered are “environmental projects,” “citizen data,” and “state and local government finance.” Each of these contain demos created with different tools like Microsoft PowerMap and Microsoft Power BI, and there are download links for these free tools as well as training tutorials on how to use them. Examples of civic, academic, and citizen innovators doing work in those areas are also highlighted. This is done through a multi-media format of webinars, podcasts, interviews, and in-person events. Topics include smart data discovery tools, business intelligence applications, predictive analytics, and visualization techniques. The series provides education and guidance in adopting emerging civic technology and data solutions that can make government more participatory and effective. All of this is free, by the way, for cities and citizens alike. It bears repeating here that German has no professional or academic background in tech. Everything she has done has been entirely self-taught, which is precisely the reason why she is so interested in helping others learn how to do the same things themselves. Without a tech degree or a background in coding, just familiarity with Excel, German has created clear, concise, interactive maps and dashboards using open data from reliable sources (typically governments, which have a high reliability for data with integrity). “I want to inspire that kind of adaptability and the use of something new,” she says. With President Obama spearheading the recent launch of The Opportunity Project, a massive collection of local and federal datasets available widely and freely to the public, it seems like now is really the time for municipal governments to embrace new civic tech tools to improve the relationships between cities and their citizens, and for citizens to become more involved in understanding and analyzing government data. German says that in both of her roles – with the Lincoln Institute of Land Policy and with Civic Innovation Project – she is constantly thinking about the challenges cities face and how to make key policy areas better for civic life. She started Civic Innovation Project just a year and a half ago to showcase the things she was writing about that she thought were important. She launched the platform focused on data transparency and showcasing citizen innovation, government-led innovation, and innovation from the academic sector to facilitate city-to-city learning. She wanted to translate that experience and that accessibility more broadly, so that everyone can participate and benefit. Additionally, governments can use decades of data from something like a census database to create presentations of information and use them to govern better, then continually add their own data and make it a resource that lives on every single year. Civic leaders and would-be technologists can learn at their own pace on Civic Innovation Project, clicking through a course, downloading the free tools and additional learning sources, and deciding their own method of learning in this self-paced virtual classroom. That alone, German says, is empowering. She also encourages people to share their stories of how they are innovating with the tools and resources they accessed through Civic Innovation Project to continue building out what could become a massive database of knowledge sharing and resource exchanges. German is currently working on evolving the platform into a full learning lab for cities and an online lab repository featuring all of the educational demos she has created and stories of users experiences.